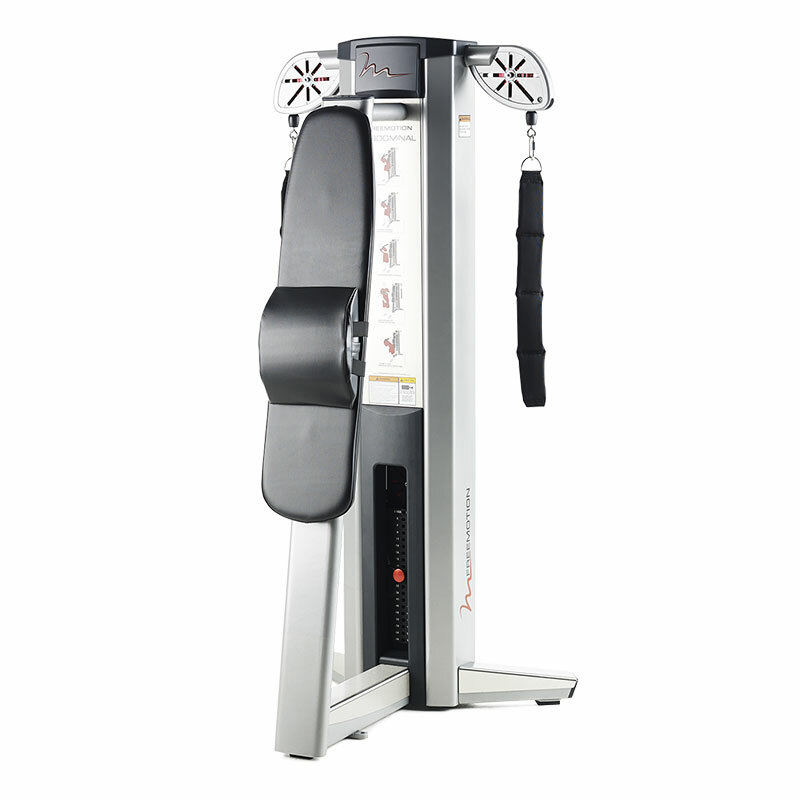 A standing ab machine has a very big advantage: Members can build core strength and balance while targeting six different abdominal muscles. The Genesis Abdominal has a simple, adjustable pad for the small of the back, while multi-position straps create user-determined tension. Less adjustment means more workout – and by adding a twist or side bend, people can hit upper, lower, and side muscles for a comprehensive, customized workout. Freemotion’s exclusive swivel pulley design ensures fluid cable travel and unrestricted range of motion. 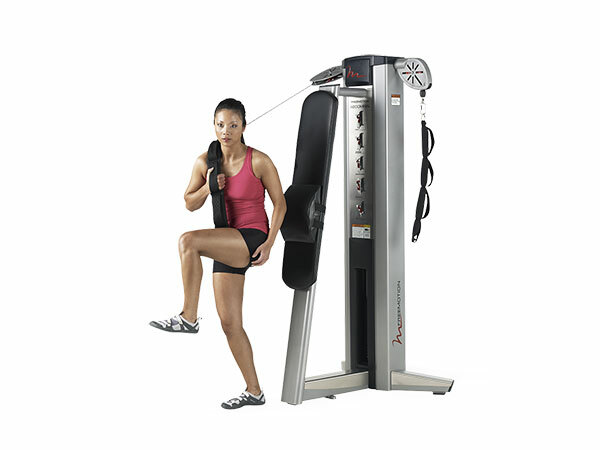 Arm straps move independently to create abdominal exercises and single arm movements to customize the workout. 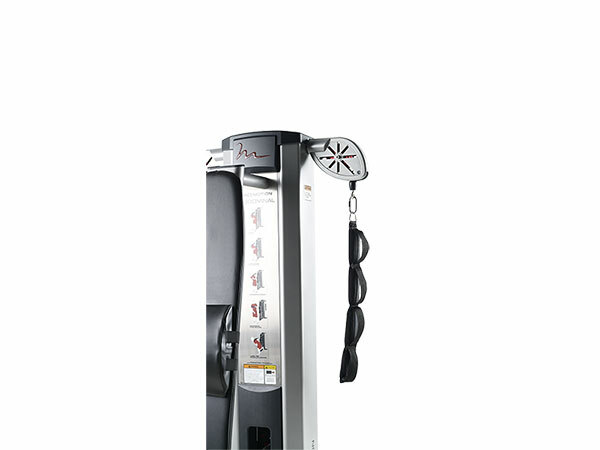 The smart, standing position of this machine takes up less floor space and relieves stress on a member’s back and neck. The pulley design creates fluid cable travel and an extensive range of motion. This lumbar pad adjusts to various positions to fit people of all sizes. 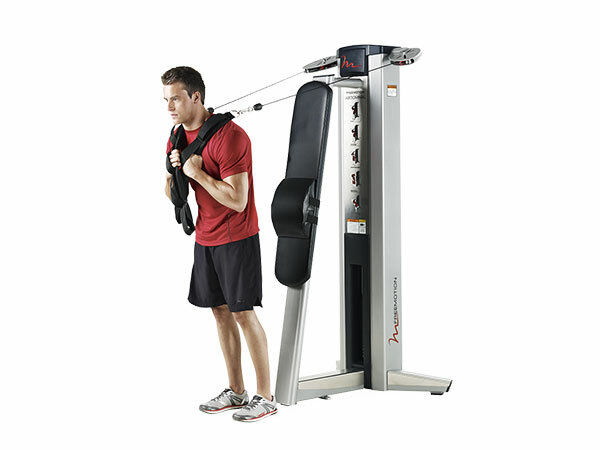 Standing while using the ab machine can lessen stress on the neck and takes up less space at your facility.